When I first heard there was going to be a Venice Symphony Orchestra, I thought it was just about the best idea ever. Then I heard them, and that is now confirmed. Led by founder/director/conductor/musician, Wesley Flowers, I heard the VSO play for the first time at the September Venice Art Crawl, and as their tag-line goes, they did indeed play everything "From Beck to Bach." Beautifully. Flowers grew up in Georgia, playing the bass and piano - a little. As life goes, opportunities spring up and you either grab them or you don't, and when Flowers was offered a gig playing on tour with Butch Walker, he grabbed it. Flowers played with Walker for five years, and that gig is what first brought him out to Los Angeles. He found that he didn't like L.A. at all, but when he came down to the beach in Venice - near the studio they were working out of - he said the clouds parted and he knew these were his people. I've heard that same story so many times - and told it - where people arrive in Venice and just either get it or they don't. The ones who get it stay ... and then do their best to not only preserve what they loved about it upon arrival, but to add to it in creative and positive ways. That's just what Flowers set out to do, right from the beginning. After attending a performance of the Santa Monica Symphony Orchestra, Flowers was blown away - and then even more so to find that Venice did not have an Orchestra of its own. What?! A creative hub of the entire world did not have an Orchestra?! Something had to be done. Flowers approached some friends with his idea, and Venice architect/developer Jason Teague thought it was a fantastic idea, and said that Flowers was exactly the kind of person we want living in Venice. Exactly right. 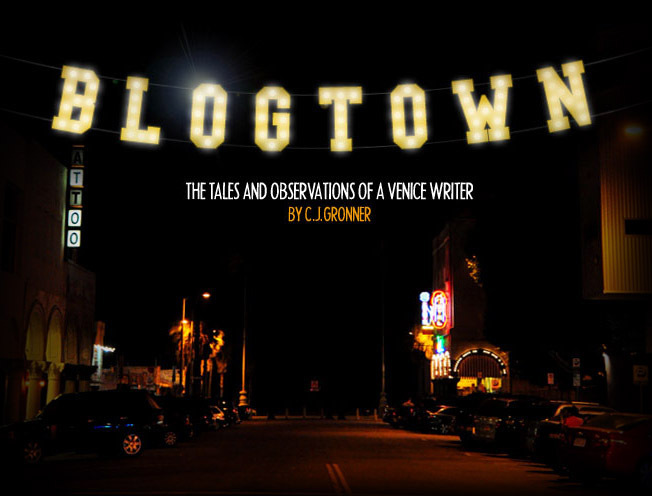 Teague helped to get a non-profit set up, and Flowers was off to the races, recruiting musicians through Craig's List, Yo Venice and The Free Venice Beachhead. The VSO had their first performance in the fall of 2012 at The Electric Lodge, where they were also allowed to hold rehearsals. Flowers said, "This is the only town this could happen in." Everyone is a volunteer at this point, everything has been donated, and all are in it for the love of music. The music. With so many talented musicians in town, there has been a kind of revolving door of VSO members thus far, as everyone has busy schedules and also need to make a living, so sometimes well-paying gigs need to take precedence while the VSO gets up, running, and more self-sufficient. Watching them perform at last month's Art Crawl, one would have no idea that there was so little time for the group to rehearse as a whole. The program (Mozart AND "Good Vibrations"!) was flawless and had the entire audience jam-packed (with a line down the block to get in!) into Teague's shipping container compound applauding and elated that we now DO have a symphony orchestra of our own! Their hopes are to keep growing, to offer free music lessons to at-risk local youth, have free performances for the neighborhood, tour with the VSO, have a permanent home (how about a concert hall in the Windward Circle?!) to play in, have a staff, score films, stage a performance at the end of the Venice Pier ... the great ideas are really endless. To make them a reality will require help and support from our whole community. You can donate through their website. You can sign up for "LivnGiv" where participating restaurants donate 20% of your tab to the VSO, at no extra cost to you. You can book them for a private function (what a great work holiday party idea!). And as the membership is now only about 1/4 as big as Flowers would like, you can dust off your own instrument and join in on the music-making! "We put the Venice in symphony orchestra," Flowers said, and added that the people and the music selections are "funky enough to be the VENICE Symphony Orchestra." It's great to see a younger generation not only getting involved with orchestral music, but creating it for the whole community to enjoy. "I think we can revolutionize the movement and redefine what an orchestra can be. We can re-invent the classics, while still honoring them, and incorporating things like electronic music, because it all ties together." A pretty apt mission statement for an orchestra for Venice, California if you ask me. I think Abbot Kinney would not only be proud of these guys, but would probably see a little bit of his dreamer self in them ... and the part that then goes out and makes it happen. Celebrate the music of Venice! 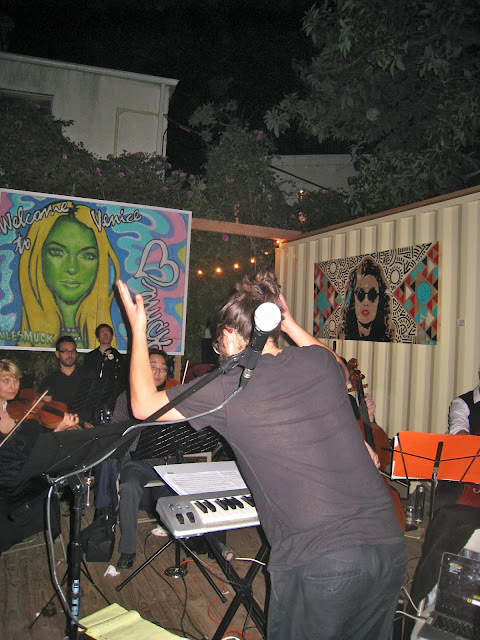 The Venice Symphony Orchestra will be playing monthly at First Fridays at Trim Salon on Abbot Kinney, at the next Art Crawl on December 19th, and wherever our town books them to share the gift of their music. Please support our VSO. Contact them at Veniceorchestra@gmail.com. Like them on Facebook (https://www.facebook.com/veniceorchestra) Sign up for LivnGiv (https://www.livngiv.com/los-angeles )and select VSO as your cause. Thank you, and Enjoy the music!! !